Comparing cloud compute or servers is a different story entirely. Because of the diverse deployment options and dissimilar features of different services, formulating relevant and fair comparisons is challenging. This article dives down into the details to show you which providers have the lowest-cost options for cloud compute instances and serverless computing under different circumstances. The purpose of this post is to help users choose cost effective service for compute services i.e., instances and Serverless computing. The instances are the same, but still by understanding the intricacies of compute pricing, cloud architects can save a lot of money. Moreover knowledge of discounted pricing and reserve instance is beneficial in the long term budgeting of technology funds. In this blog, we’ve compared On Demand Hourly pricing and Discounted Annual pricing for similar instances from AWS, Azure and Google. Also, we’ve compared costs of Serverless computing for AWS, Azure and Google. In comparing compute prices, it’s important to note where the compared instances are similar and where they are not. In our analysis, we chose four scenarios to compare instances of AWS, Azure and Google. All scenarios are based on the lowest price us-east region for each provider and using one of the standard, free Linux that are available at no extra charge. For each cloud provider, we then mapped the appropriate instance type for each scenario. You can quickly see that everything cannot be compared exactly “apples-to-apples”. To compare compute price effectively, we’ve chose similar instances having same no of vCPUs and RAM for AWS, Azure and Google. We kept 4 vCPU common for all three scenarios (Standard, HighMemory and HighCPU) except GPU instances. For each scenario we’ve selected instances with similar number of RAM to get the lowest pricing instance from AWS, Azure and Google. For example, In standard scenario, RAM for instances are 15 (AWS), 16 (Azure) and 15(Google). This case will the same for other three scenarios as well. For each of these three instance types, we looked at scenarios where a local SSD is required for better comparison because AWS has instances families with and without the local SSD while Azure always includes local SSD with all of its instance types, so as a result you are “paying for it” as part of the instance price whether you need it or not. Google Cloud never includes local SSD with the instance type, so you need to pay for it as an add-on cost. The minimum size for an add-on local SSD is 375 GB, which is quite large. In the chart above, red indicates the highest price of the cloud providers within a scenario while green represents the lowest price. Google Cloud has the lowest price for all 4 scenarios. We have used Google Cloud Pricing Calculator to find out Google compute engine’s per hour pricing. To see AWS and Azure pricing click on AWS On- demand pricing and Azure Virtual Machines Pricing. Now let’s compare Discounted annual pricing of AWS,Azure and Google for the same scenarios and instances. In comparing discounted prices, we looked at annual (instead of hourly) costs to give a better comparison. This is because all three cloud providers have different ways of offering a discount. AWS provides Reserved Instances with a significant discount (up to 75%) compared to On-Demand instance pricing. Based on Annual Reserved instance pricing with No upfront, here we’ve got discounted pricing of above instances. M3.xlarge: with 29% discount, price reduced from $2330.16 to $1664.4 per annum. r3.xlarge: with 37% discount, price reduced from $2917.08 to $1830.84 per annum. c3.xlarge: with 30% discount, price reduced from $1839.6 to $1278.96 per annum. g3.4xlarge: with 32% discount, price reduced from $9986.4 to $6816.12 per annum. The primary approach to getting discounts on Azure is your Microsoft Enterprise Agreement (EA). EAs offer discounts from 15-45 percent depending on the level of usage you commit to. We took 30 percent discount as the midpoint in above comparison. To get yearly pricing with 30% discount, we’ve used below formula for above instances. Google offers sustained use discounts which are automatic discounts that you get for running a VM instance for a significant portion of the billing month. For example, if you use a virtual machine for 50% of the month, you get an effective discount of 10%. If you use it for 75% of the month, you get an effective discount of 20%. If you use it for 100% of the month, you get an effective discount of 30%. Here we’ve considered 100% use of the month which provides 30% discount. We’ve selected 1-year committed usage and 375 GB SSD for each instance in Google Cloud Pricing Calculator to get Annual Discounted Pricing. In the chart above, red indicates the highest price of the cloud providers within a scenario while green represents the lowest price. Google Cloud has the lowest price for High Memory scenario. For HighMemory and GPU, Azure has the highest price whereas for Standard and HighCPU Azure has the lowest price. On September 18th, AWS announced per-second billing on EC2 instances running Linux and EBS volumes. Before this announcement, you would have been billed for every hour an instance was up and running, even if you only used a few seconds of that hour. With this change, cost of instances will be calculated for total seconds when instances are in “running state”. Before you start taking advantage of this update, few things you should note. First, the pricing change will only initially apply to Linux instances launched from “free” AMIs. This will exclude RHEL, SLES and Windows, as well as any Marketplace AMI. Hopefully, once vendors have a chance to work with per-second billing, this will change. The change will apply to on-demand, reserved and spot instances. Secondly, while it is granular to the second, there is a minimum instance time of one minute. The cloud wars rage on, and this time, the battle is over billing increments. Google announced that its cloud service will offer per-second billing. The move comes just days after Amazon Web Service made the same announcement. However, until 26th september, Google Cloud primarily billed by the minute. Google cloud platform apply its new per-second pricing to many of its core products, including its Compute Engine and App Engine, which allow companies to build software and store data within Google’s servers. Customers who are using servers of Microsoft Windows or Linux will not be able to take this advantage. Like AWS, Google will charge for a minimum of one minute. If your consumption patterns are largely static and unchanging, you probably don’t have the ability to take advantage of this change and won’t notice a difference. However, if your consumption is at all variable or spiky, you can take advantage of this and may see a reduction in cost. This can be understood with below example. Some jobs like running EMR cluster requires short time around 10 minutes to run the job and then terminate or stop the instances. However, whether the job took 10 minutes or 50 minutes, you paid for the full hour. Now, with the instances being billed at a per second rate, it changes how you might configure your instances. First off, it makes sense to run more instances for a shorter amount of time. Take, for example, a job that is using m4.2xlarge instances. These instances come in at $0.4 per hour. If my job can be run in an hour with 10 instances, then my cost is $4 for the job. However, with the removal of the hour minimum, you can now look at doubling your compute power to 20 and paying the same price for a half hour return. Finally, if you are not already doing so, another change would be to use spot instances for your computing power. If your data processing needs have flexibility in schedule, using a greater amount of spot instances for a short amount of time can greatly reduce your bill. As for regular virtual machines, Sanders stayed on message and noted that Microsoft wanted to focus on containers because it’s there that per-second billing makes the most sense. “We’re always looking to improve billing constructs across our platform and to make it easier and more agile for our customers to use,” he said. Here is azure container instance pricing with an example. The name ‘Serverless Architecture’ misleadingly implies the server’s magical absence. In serverless computing, a third-party service provider takes responsibility for processes, operating systems and servers. Developers can now focus on just building great software. All they need to do is code. Resource consideration (deploy, configure, manage) is no longer their concern. The cloud service provider takes care of that. The less you are meant to manage the instance, the more serverless it is. Serverless goes well with certain functions. It is for companies to learn optimizing their use and integrate them into broader data systems. AWS Lambda, Azure Functions and Google Cloud Functions are the services which provide serverless computing service. Cloud provider charges you for the compute power you use according to 100 millisecond increments. Developers can focus on their code and event triggers and AWS takes care of the rest. With Consumption Plan hosting, these services completely abstracts away the server construct. 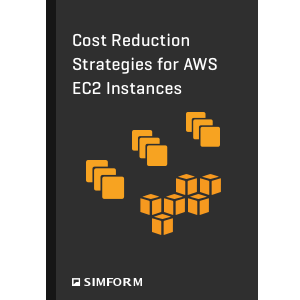 You no longer pay for reserving CPU Cores and RAM of the underlying EC2 instance or Virtual Machine (VM). You only pay for the time your code runs, and not for the time it remains idle. Here we’ve calculated costs for serverless computing for AWS Lambda, Azure Functions and Google Cloud Functions. Let’s see how much AWS Lambda charges for given condition. For Azure Monthly Compute charges would be $17.6 as it’s compute price is $0.00001600. Total monthly charges for Azure = Compute charges + Request charges = $17.6 + $0.40 = $18 per month. Let’s see how much Google Cloud charges for the given condition. The monthly compute price is $0.0000025 per GB-s and the free tier provides 400,000 GB-s. The monthly request price is $0.40 per 1 million requests and the free tier provides 2M requests per month. AWS and Azure have almost same pricing due to same free tier offerings and additional pricings. Google Cloud Functions comes out as the cheapest provider for serverless computing due to its very low compute price($0.0000025) compare to AWS and Azure. AWS and Azure have almost 6 times higher pricing than Google. Monthly request charges remain the same for all three providers because Google provides 2 million free requests but on the other hand it charges $0.40 per million request which makes its price similar to AWS and Azure. Please note that, We have not included Amazon’s API Gateway price, which is $3.50 per million requests and is necessary if you want to have HTTP invocation of the function. Comparing compute services is a challenging task. We’ve covered a lot of ground in this post including how to properly choose instances from different services, picking relevant benchmarks, some actual comparisons of services, estimating value, etc. The biggest take away I’d hope for is a better understanding about how to compare compute services accurately, and identify comparisons that are of questionable quality. There is no need of wasting your money on expensive instances if you don’t need them.